I like biscotti, but I won’t go out of my way to eat one. I’m also not a fan of almond flavoring. (Great selling points, Tina. I’m going somewhere with this, trust me). 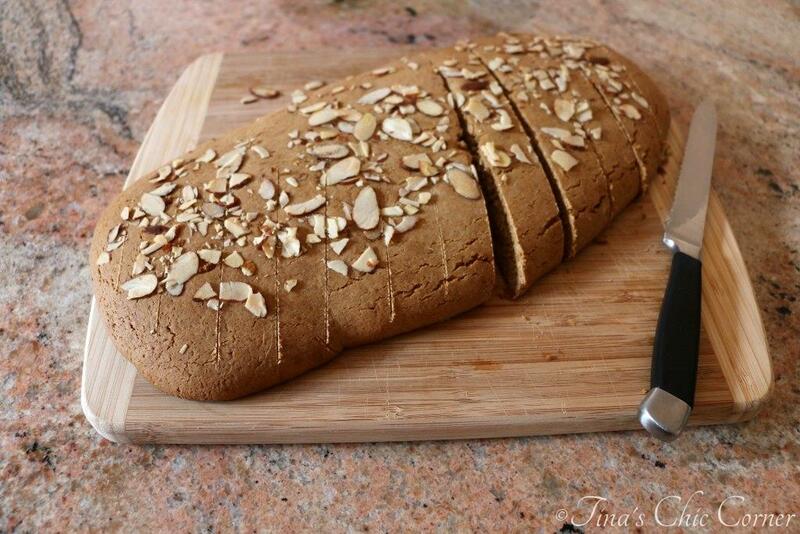 Why did I make these almond biscotti? I made them for my dad, who is a huge fan of almond biscotti and I knew he’d love them with his morning coffee. 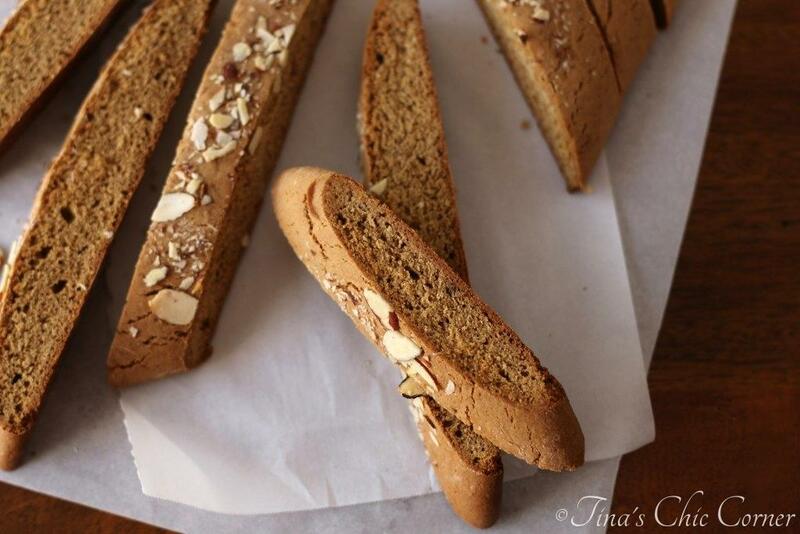 These almond flavored biscotti have now become one of my favorite cookies! Line two baking sheets with parchment paper or a silicone mat. Set them aside. 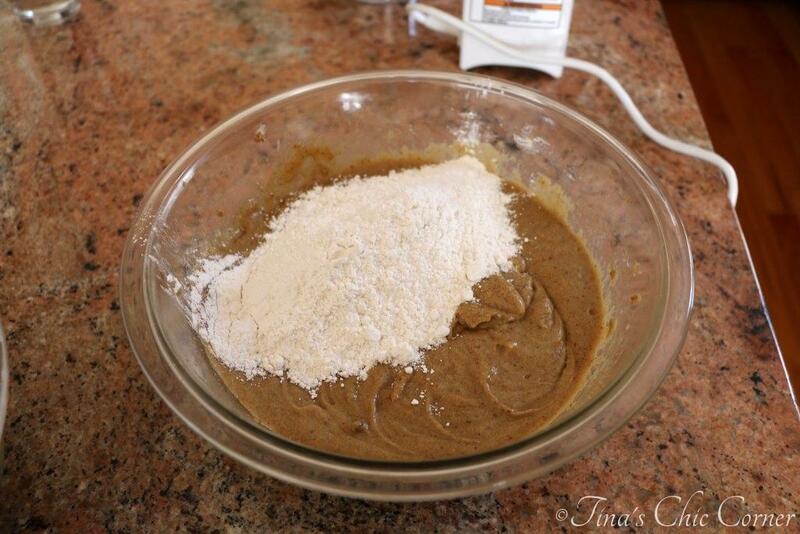 In a large bowl, whisk together the flour, baking soda and salt. Set the dry ingredients aside. In another large bowl, cream together the butter and brown sugar (for about 2 minutes). Mix in the eggs and almond filling. Flour your baking surface and your hands. Shape the dough to be about 14 inches long and 6 inches wide. Transfer it to a prepared baking sheet. 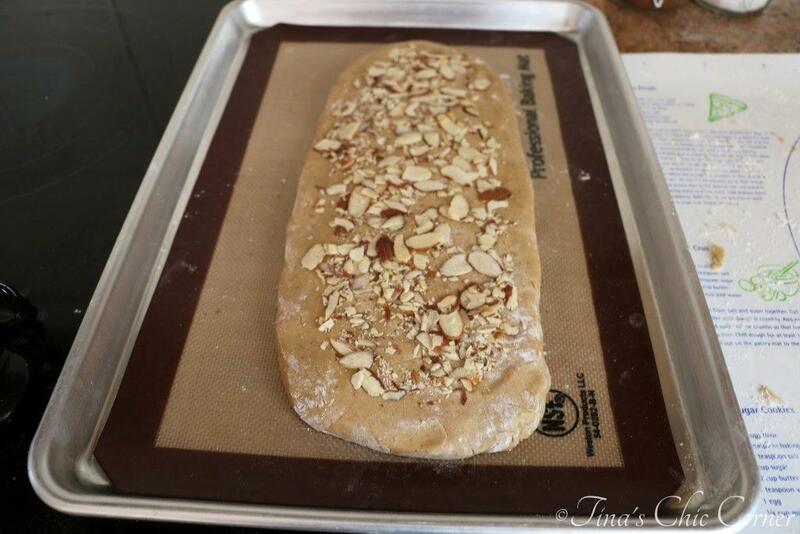 Gently press the sliced almonds into the top of the shaped dough. Drop the temperature of the oven to 300 degrees F.
Lightly spritz the baked dough with lukewarm water. This will make them easier to cut and help to keep them from crumbling while cutting. Arrange the slices, cut side down, on the baking sheet. Flip the slices over and bake them for an additional 10 minutes. 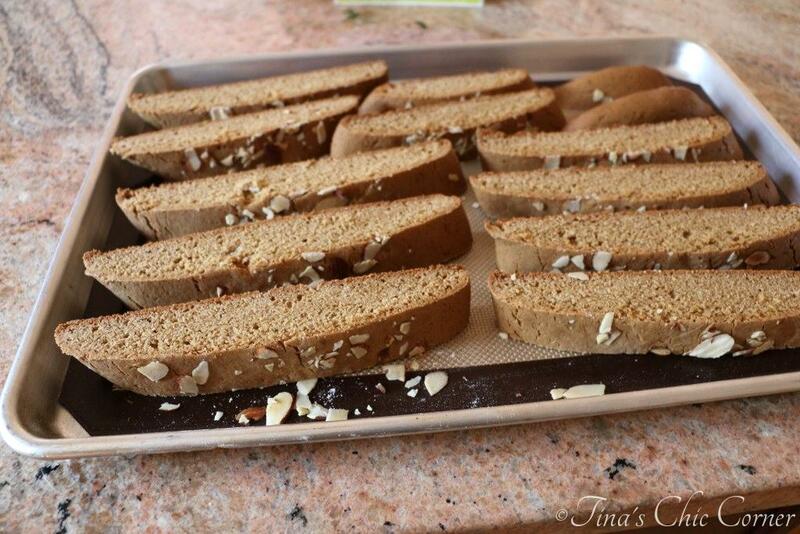 Transfer the biscotti to a cooling rack and let them cool completely. Store them in an air tight container at room temperature or in a freezer friendly bag in the freezer. Almond cake & pastry filling is made from corn syrup, sugar, water, almonds, evaporated milk and a few other ingredients. It’s different from almond paste so make sure you pick up the right ingredient. 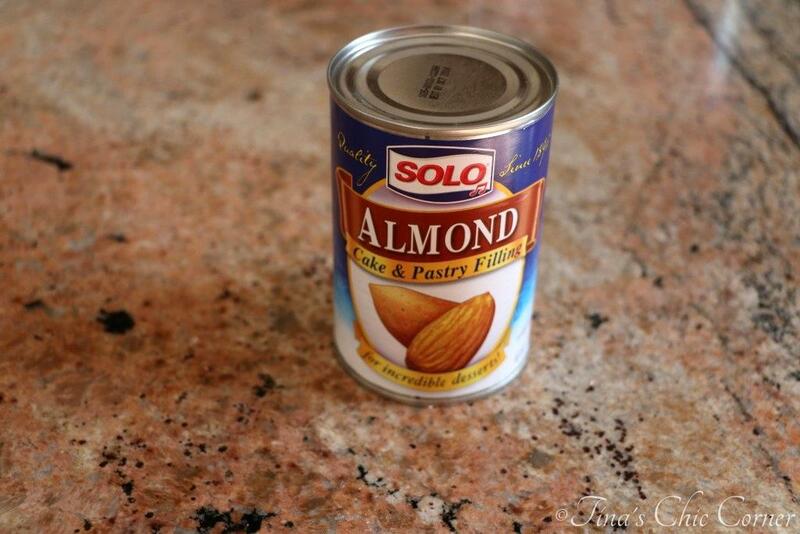 Almond paste is made from blanched ground almonds and sugar, similar to marzipan. I’ve now officially become a fan of this almond cake & pastry filling because it has an awesome almond flavor, without tasting like fake almonds or “way too almond-y” (like how some almond extracts do). You start the baking process like you’re making a typical cookie. Once all of the ingredients have been combined, the dough will be sticky but you should be able to work with it. Divide the cookie dough in half and shape each half into something resembling a board of wood with rounded edges. It should be about 14 inches long and 6 inches wide. Gently press some sliced almonds on top. The first round of baking is just like making a funny shaped loaf of bread. Once they’ve cooled a bit, cut them into 1 inch wide slices. I cut them on a diagonal because it makes the ends of the slices have a fun angle to them. It’s like you would see with a French baguette sliced on the Food network. They always do it at an angle so the slices have fancy edges. Gosh, my kitchen smells like heaven! At this point, the biscotti are in between a hard and soft texture. Sure you can eat them now, but they’re not quite at their biscotti status. Biscotti means twice cooked, in Italian, so we need to bake them for a second time. The point of this second baking time is to dry them out without browning them too much, which is why the oven temperature must be lowered. 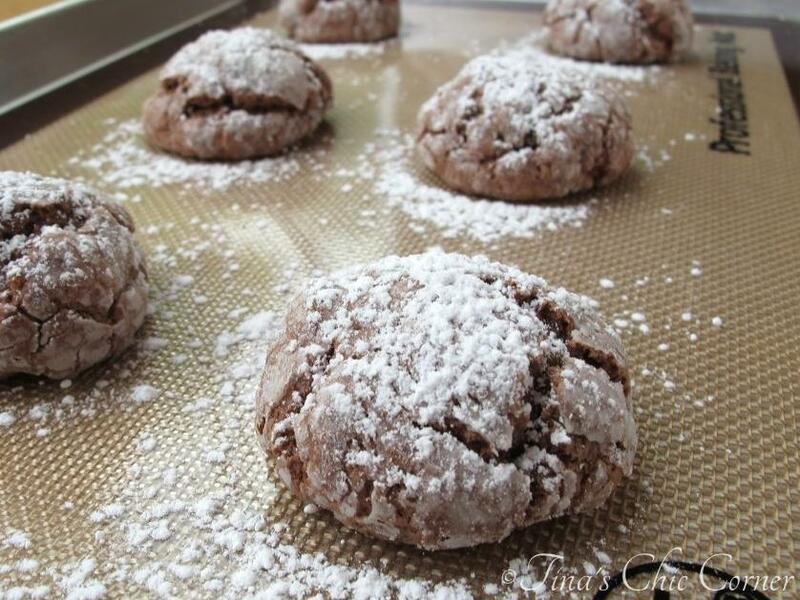 Place the cookies back on the baking sheet and bake them for a second time. Bake them for 10 minutes, flip them over and bake them for an additional 10 minutes. My husband points out that is sorta triple cooked, but we’ll count the flip as being in the middle of the second cooking. 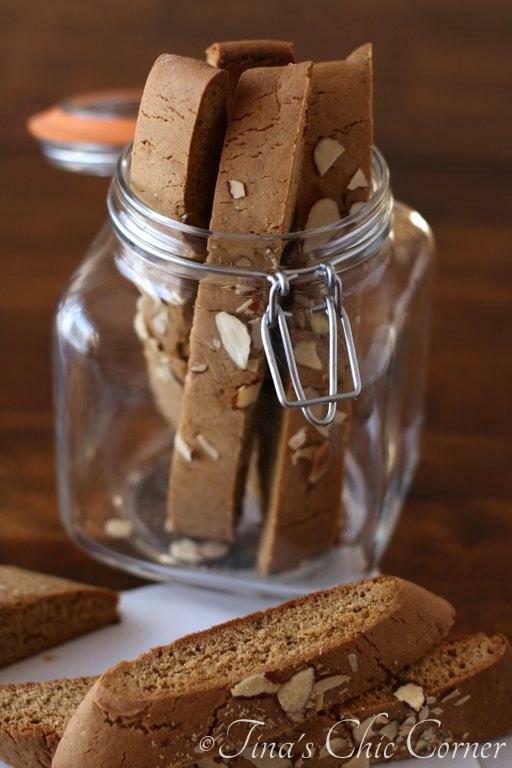 If you’re a fan of almond flavored treats then these biscotti will become your best friend. If you don’t care for almond flavored things, well, you may want to try these anyway. I’m glad I did. I can’t get over how the almond flavoring is spot on with these biscotti! Have you ever worked with almond cake & pastry filling? I’d love to know how else to use this fabulous ingredient. The sliced almonds on top are not only pretty, but they add great texture and a toasty nutty flavor to every bite. 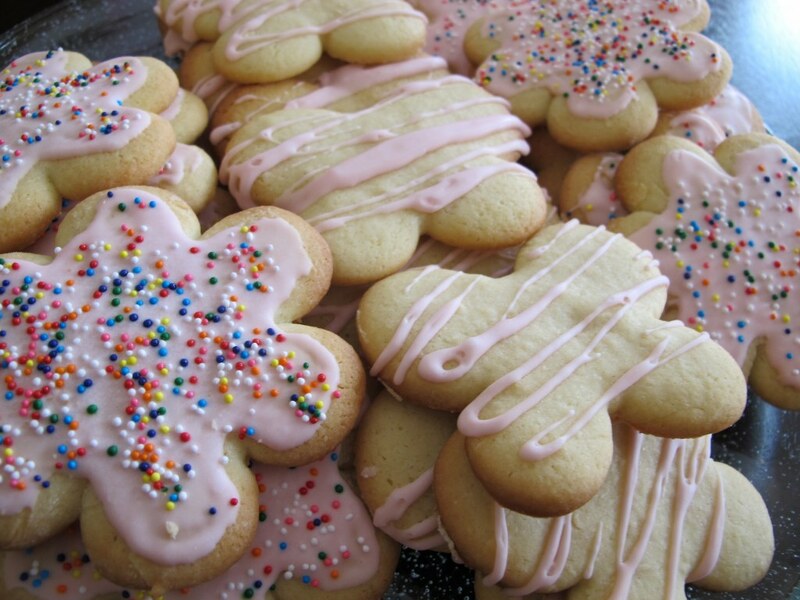 Here are some of my other favorite cookies. I have never msde biscotti as I thought I wouldn’t like them, but these look truly delicious! They’re making my mouth water, yum! 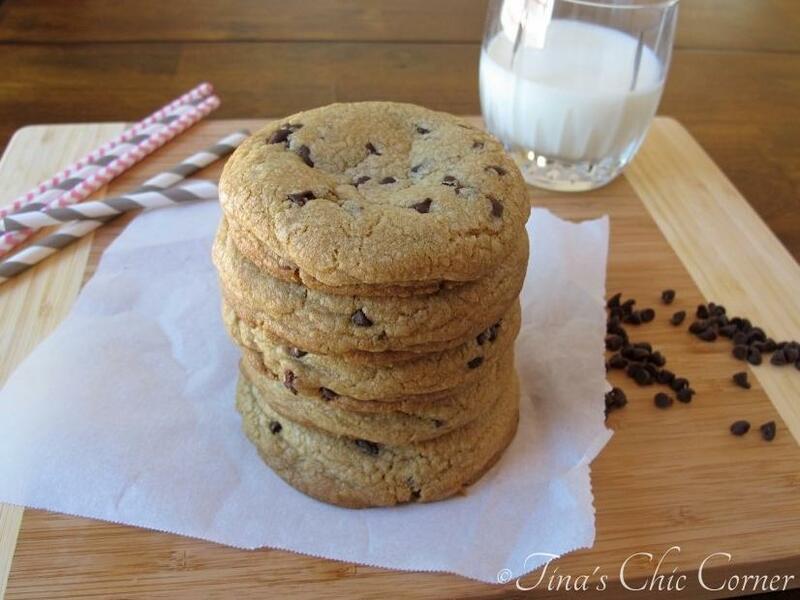 These look wonderful Tina! 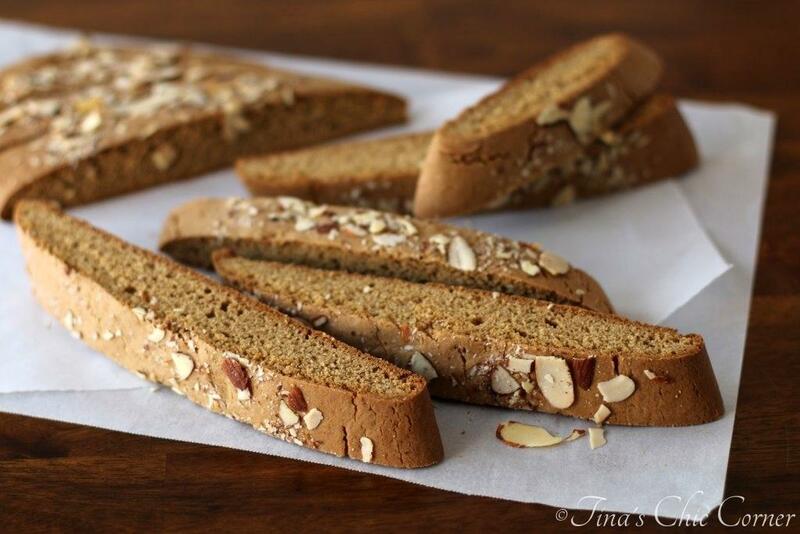 That’s so nice that you made these for your dad, I’m sure he loved them:) I love almond desserts so this biscotti sounds perfect:) Can’t wait to try these, thanks for sharing and hope you have a wonderful weekend! Storebought biscotti bore me but homemade…they are somehow infinitely more delicious! Such a great flavor! haha… too funny. Loved how you started that. My sister in law isn’t a fan of almond extract/flavoring either. But when I made he my almond biscotti she loved it too. 🙂 These looked absolutely delicious, I can see why your sister wanted to come over and learn how to make them. Pinning for sure! Great pics! 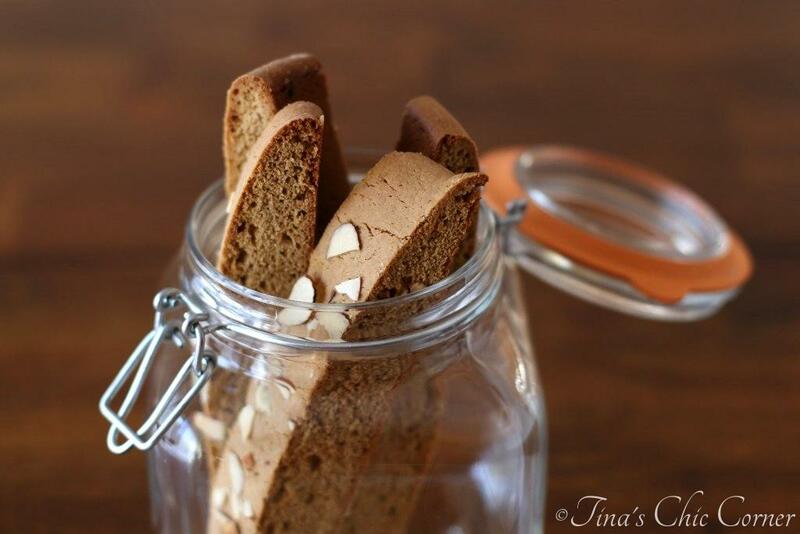 Love seeing this biscotti in the jar, it would be a perfect snack! oh I love biscotti and your recipe looks really good!! Goes great with a cup of coffee too. check out my site sometime, Ultimate Chocolate Chip Cake Here is a link to my chocolate chip cake recipe. What fun memories with your sister! Haha, I loved the way you introduced these 🙂 I’m convinced now – these have to be incredible. I think I need some biscotti in my life now! I’m not a huge fan of biscotti Tina. But you’re totally working it now. And I truly think I may have to make some here at home and maybe I’ll change my mind. Thanks for the inspiration! Hehe…the funny thing is that I made them thinking that I wouldn’t be tempted to eat them (because they’re not my thing). Boy, was I wrong! Biscotti is the best! It’s a cookie you can eat at breakfast time. Especially love dunking into coffee. Yum! 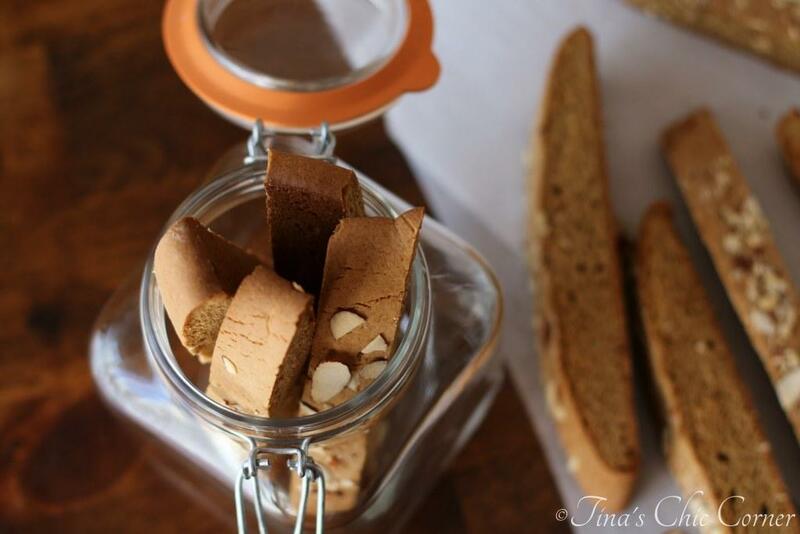 I love eating biscotti with my coffee or a glass of milk! I never really liked biscotti when I was a kid … it was around all the time but the kind my grandma always bought was terrible! Then I made it myself … game changer! I love the homemade kind! This version sounds delicious! Always wanted to make Biscotti. Haha love how you admit that you don’t like almond, but making it for your dad…how sweet 🙂 Isn’t it wonderful making food for people! I love to bake but hate having it in the house afterwards..sometimes I have no self control with sweets….whoops! Love your pics, thanks for sharing! Thank you so much! I have definitely noticed that many of the pinterest subscribers seem to be from the US. I use a variety of sources for food inspiration, like tv, magazines, and other websites. I can relate to you because I too have seen recipes that I’d like to make but I don’t have access to an ingredient. In those cases, I sometimes try to improvise or buy the ingredient online. I did a bit of research and unfortunately, I don’t see an ingredient that can be used as a substitute for the almond cake and pastry filling, at least not without needing to alter other parts of the recipe (which I’ve not tried). One of my best friends is from South Africa. She came to the US about 15 years ago. I will ask her if she has any suggestions, knowing that she is more familiar with what might be available to you. If she has any information, I will make certain to pass it along to you. If you experiment with the recipe, I’d love to know how you make out.